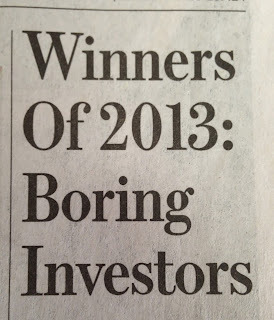 Three Cheers for Boring Investors! This rule set has served the financial farmer very, very well in 2013 and based on the economic climate going into 2014 it should prove equally fruitful. What's really so surprising is that this is of any great news at all. Warren Buffet has preached this sermon for over 60 years and NEARLY every successful long-term investor follows a similar rule set in some form or another. There are notable exceptions, but for some reason they always seem to end up in jail. Going into 2014 individuals who wish to Invest Like A Farmer should laser focus on either buying or developing quality brands that have both scale and utility. America still has one of the best climates, quality of soil, and promising batch of seeds to plant for your own financial farm. Embrace calculated risk and plow ahead. 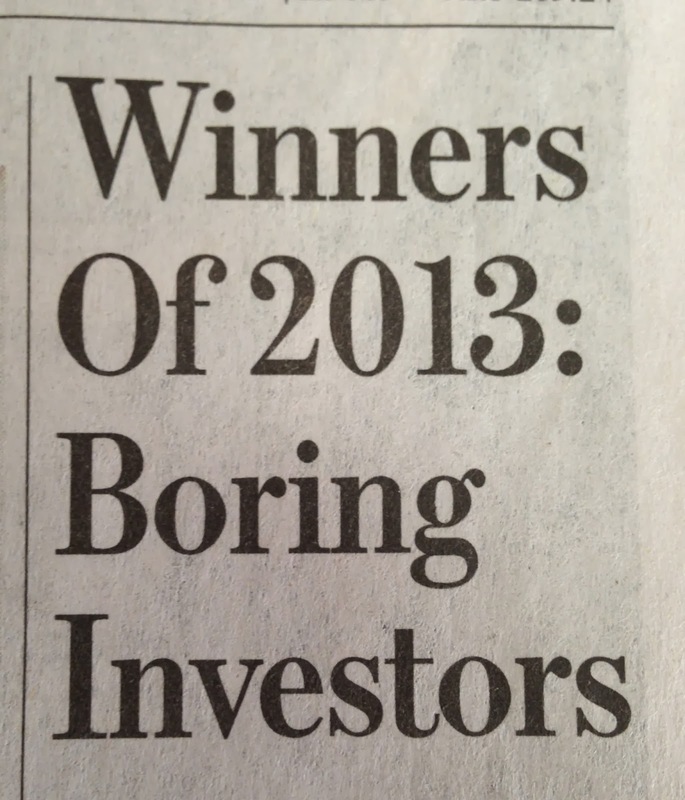 Here's a toast to very happy and profitable 2013 and may many more years of the same follow. Cheers!